At 34-years-old, it’s fair to say that John Eustace is in the twilight of his career but if his goal last night kick starts Derby’s ascent into the Premier League, punters backing the Rams to go up will remember the midfielder for decades to come. 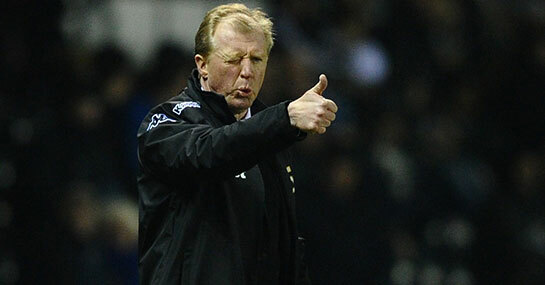 Backed at 13/8 with Ladbrokes to be promoted from the Championship, Derby have enjoyed a meteoric rise up the table under former “Wally with a Brolly” Steve McClaren, whose attacking ethos means it’s been raining goals for theeast Midlands club of late, with seven scored in their last three. In fact, the Rams have found the net in all but one of the 21 Championship games overseen by the former Boro boss, starting with a sensational comeback from 4-1 down against Ipswich in a game that ended 4-4 and ignited the club’s sensational run. To date, Derby have lost just twice under McClaren in the English second tier, with one of those defeats coming to Championship leaders Leicester, and on current results there’s every reason to think they will join the Foxes in the Premier League next term. Home form has been crucial to the Rams’ upturn in fortunes, with McClaren transforming Pride Park into a fortress since his arrival, collecting 26 points from the last 33 available in the league and, most crucially of all, taking points off the likes of Queens Park Rangers. Indeed, while QPR and Burnley remain a point ahead of Derby and are currently priced at 1/2 and 13/8 to go up with Ladbrokes, the momentum is certainly with the Midlanders. Last night’s away defeat means QPR have won just one of their last three in the league and have kept just one clean sheet in their last 10 competitive games. Burnley, meanwhile, have just one win from their last four and have looked nervy in recent weeks, despite the continued scoring of Danny Ings. The Lancashire outfit have been held in two of their last three games at Turf Moor and Derby could take full advantage of this average record when they visit next month. In the meantime, QPR face a tough test at home to Reading next weekend, while Burnley will do battle against play-off hopefuls Nottingham Forest. With County in action against relegation-threatened Sheffield Wednesday, it wouldn’t be a shock to see Steve McClaren ram home the advantage.